When you’re a child facing adult problems, you might end up sleeping under a bridge with your newborn. And maybe even using your own clothes for your daughter’s diapers because, even at 17, you’re a mom and moms will sacrifice anything for their little ones. This is the reality for Ruth Carina, who left home at 11 because her parents weren’t able to provide for her. She worked odd jobs, and managed to rent a room and still somehow attend school. When she became pregnant, Ruth Carina’s boyfriend told her that she and the baby could move in with him and his parents. But when little Jhandy was born, her boyfriend and his mother turned her away. She ended up at his grandmother’s house, but when the boyfriend showed up and threatened to kill the baby, Ruth Carina ran away. That’s how she ended up spending a night under a bridge with a newborn. A sympathetic taxi driver directed her to help and she arrived at the women’s shelter with only her precious little girl and the clothes she was wearing. On her first ever shopping trip, with Nuevo Camino volunteers, she got a hot pink puffy coat, and refused to take it off. The idea of a Nuevo Camino (new path) after such an incredibly painful and rocky one, is refreshing and joyful to Ruth Carina. She’s willing to give her clothes as diapers for her baby, but with this new chance, she’ll fight for something much better. She is willing to work hard for their future. 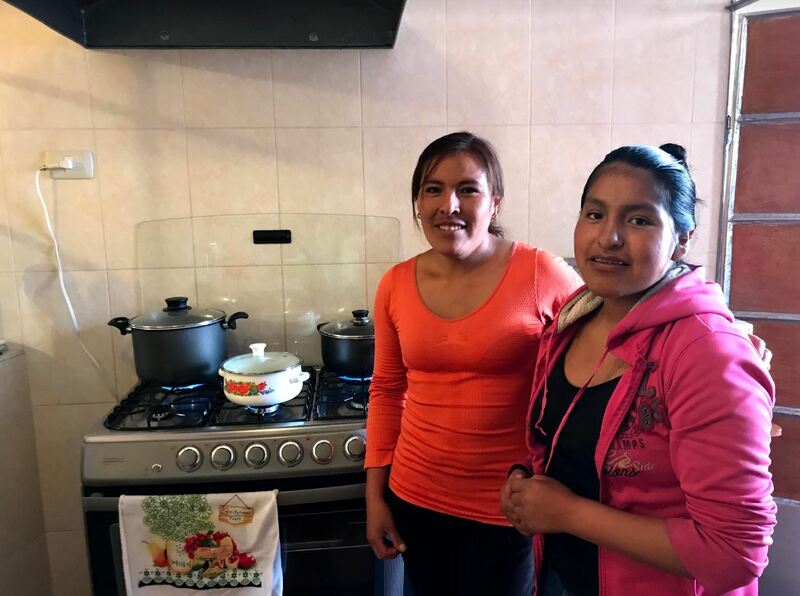 Enrolled in her final year of high school, Ruth Carina feels confident that she finally has a family – both in the Nuevo Camino volunteers and the other moms and their kids. Go HERE to support Ruth Carina and the other mammas of Nuevo Camino!